Ah holidays, don't you wish that they were more than a once or twice a year thing (well unless you have a hell of a lot of money, or a travel blogger.. one day, one day) But in all of the heat you can often find yourself repeating the outfits that are comfier and the lack of make up can become somewhat boring. but that's where I really find that Jewellery can help, something so small can be such a life saver on the aesthetically pleasing photo side of things. 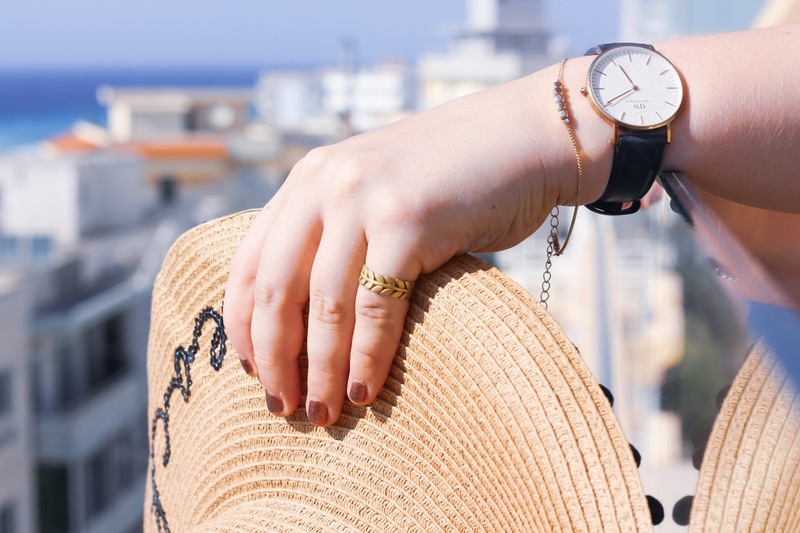 Now I am the classic example of someone that doesn't deal with the heat well and therefor does not make an effort whilst I'm away, and so a few stand out jewellery items are essential. Now when we booked our holiday I realised that It would be the most perfect time to produce some top quality content along with developing my photography skills at the same time. I made the jump and got in contact with one of my most loved online jewellery stores, electic eccentricity. I had completed my some what semi glamorous semi- comfort comes first holiday wardrobe and so all that was left was my mission for accessories. Coupled with my little £2 can’t go wrong primark bracelets. I chose two items from their store (which were incredibly kindly gifted to me). Not only was this a mission for new accessories but it was also a mission to get myself wearing some more out there statement items, and so I decided to go for the buzzy bee and hexagon honey comb earrings. Now This without a doubt was a 100% out of my comfort zone item. But that’s why this piece of jewellery is more than just a piece of jewellery, its the start of my venture to be the better version of myself. No more lay comfort clothes, but instead a more put together feminine me. 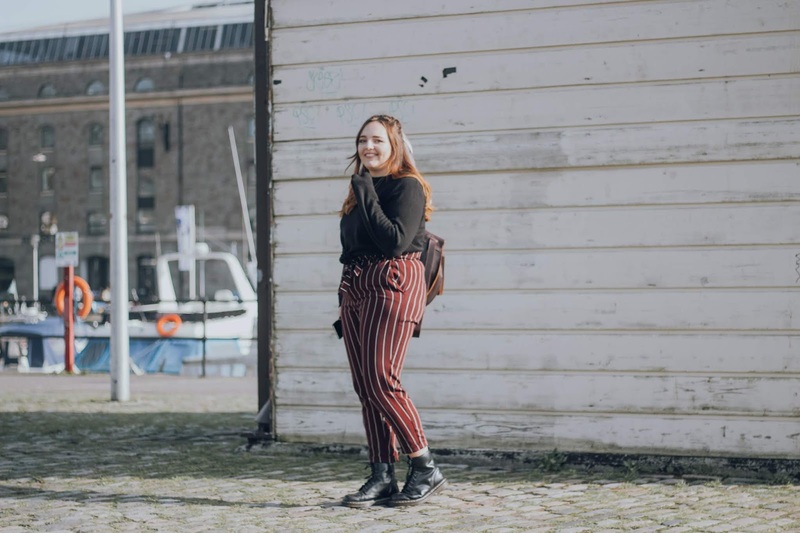 Now trust me I’m not saying that there’s anything wrong with lazy unfeminine comfy clothes because my god they turn me into the comfort queen, but I seem to have become stuck in a bit of a routine. Where I wake up and take the easy option of not putting any effort into myself and this is the start of my little journey to change that. 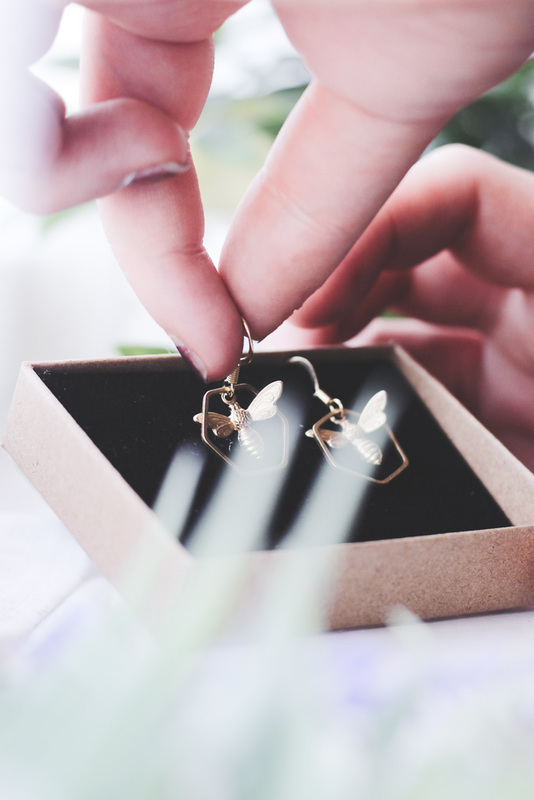 ANYWAY, with that little rant over I received these beautiful earrings from electic eccentricity, and you can grab yourself a pair here too at a price of £14. The quality of these are amazing, and I’m usually one that's ears react pretty badly to weird metals that aren’t sterling silver/gold. But they’ve been totally great and I find that I can wear these little beauties with no problems at all! I was a little hesitant in the beginning of how much I loved them but purely for the fact that little dangly earrings are slightly out of my comfort zone but that is something I quickly got over once I really appreciated what they bring to an outfit, they are a stand out accessory but are in no way in your face. Just a simple stand out little touch to an outfit! Now onto the ring, I’ve always adored these types of rings. 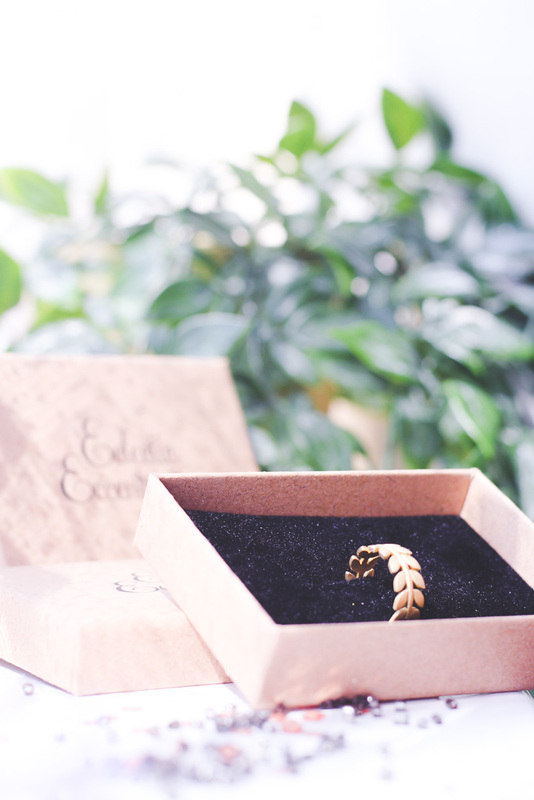 The ring designs that are inspired by nature and leafs. Another simple but elegant touch to an outfit that I can’t seem to take off my finger since receiving it. It has an adjustable size that typically fits all unless you are like myself that has hella chubby fingers and therefor I have the choice of my little finger or my wedding finger but I think that may Just be a tad forward since my boyfriend is yet to propose to me. This ring is the Moss Brass leaf ring which can be picked up for £8 here I think for a good quality piece of jewellery this is a really good price in comparison to some of the shops you find on the high street. So I would 100% recommend this to you, along with the beautiful earrings!